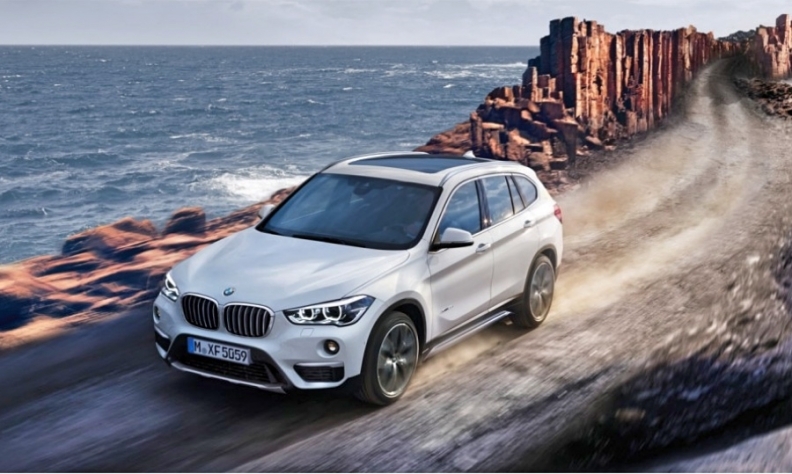 Vehicles such as the BMW X1, pictured above, Lincoln MKC and Mercedes GLA are all relatively new to the segment and taking customers from the non-luxury compact and subcompact SUV and car markets. Luxury automakers are expanding their reach in Canada by grabbing an increasingly bigger piece of the compact and subcompact segment, according to auto researchers at J.D. Power. Those three segments account for about 58 per cent of all trade-ins at the time of a compact luxury utility vehicle purchase. Luxury brands are entering more models in lower-priced segments, as compact and subcompact luxury SUVs, which, are popular these days and growing, said J.D. Power’s Robert Karwel. The compact utility vehicle, luxury or not, has overtaken the compact car as the largest segment in the Canadian market, accounting for about 22 per cent of total industry volume. "The number of new luxury nameplates in these segments is growing; many were not even in the Canadian marketplace five years ago,” Karwel said. Vehicles such as the Lincoln MKC, BMW X1, and Mercedes GLA are all relatively new to the segment and taking customers from the non-luxury compact and subcompact SUV and car markets. Those luxury vehicles are similar in size and shape to models like the Honda HR-V, Chevy Trax, Nissan Qashqai and Ford EcoSport, which goes on sale in early 2018. “This growth in available luxury models and more accessible price points means market expansion as buyers shop up,” Karwel said. Buick doesn’t have a subcompact SUV but it does offer the larger XT5 in Canada. Canadians have developed a taste for luxury, Cadillac Canada managing director Mahmoud Samara told Automotive News Canada in January. He said, 42 per cent of all luxury buyers are entering the market for the first time, almost double the rate of the U.S. market. “Canada has more going into luxury than any country in the world,” he said at the time. Samara said Buick will look to expand in the compact utility vehicle segment. Although it’s still early in the year, the Canadian luxury auto market has accounted for nearly 60 per cent of the year-to-date increase in overall sales volumes in Canada during January and February, five times its normal share, according to Scotiabank. The early total sales increase was led by a 16 per cent year-over-year gain in luxury volumes. J.D. Power’s Karwel said there are a variety of reasons Canadians are moving to small luxury utility vehicles, including incentives and longer leases. “Incentives in 2016 in Canada reached about $5,800 overall and luxury brands played a part in that by continuing to offer attractive lease offers, lease rates and cash rebates,” Karwell said. J.D. Power says that overall in 2016, leasing accounted for 58.4 per cent of all luxury vehicle sales while it accounted for 23.7 per cent of what it calls “mainstream” sales. Both those numbers are up through March 12 this year with 60.6 per cent of luxury sales being leased and 24.5 per cent in the mainstream. “Many luxury vehicles have lease penetration rates above 65 per cent and more brands are dipping their toe into the pool with greater payment flexibility by offering bi-weekly payment schedules,” Karwel said.